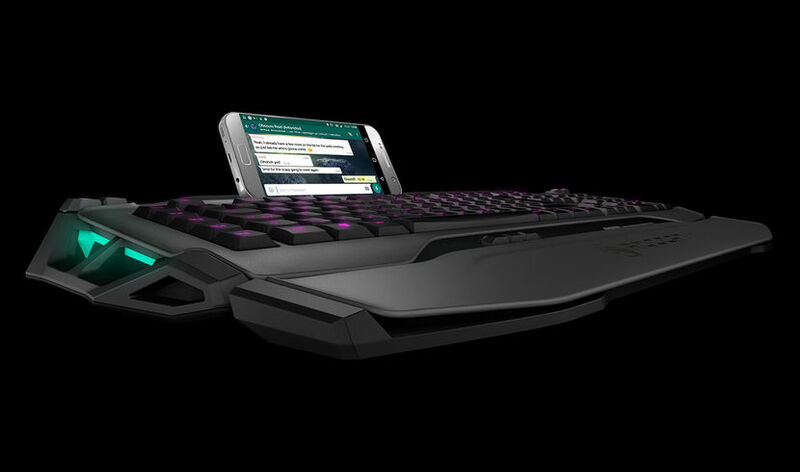 Roccat has finally announced the final piece of the lineup in the form of the Skeltr keyboard. The keyboard’s biggest feature is its integration with mobile. There’s a long slot along the top of the keyboard that allows resting of either cell phone or tablet in either portrait or landscape mode. The Skeltr also features Bluetooth 3.0 that allows for answering calls from the keyboard, typing into the mobile device, and adjusting mobile device volume just to name a few things. There is also an USB port on the rear of the keyboard to keep devices charged while sitting in the mobile dock. 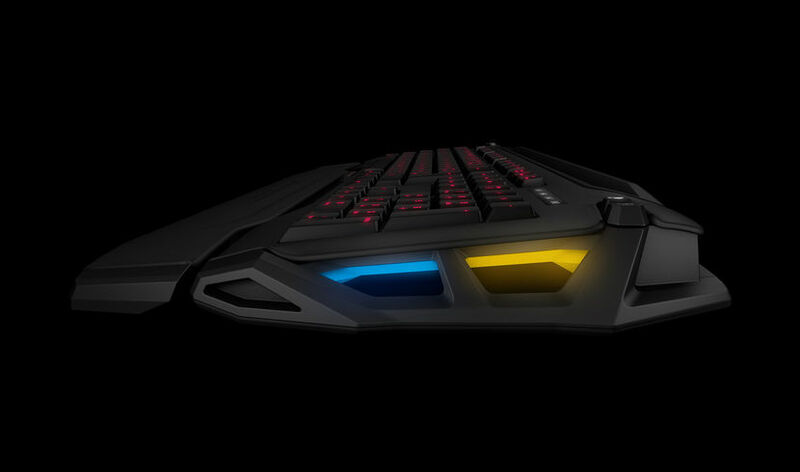 On top of the mobile features, the Skeltr has built in RGB lighting in five zones along with a removable wrist rest and will be available in three colors: black, dark grey, and white. We’re curious to see whether all of these features outweigh the fact that the keyboard does not feature mechanical switches, but rather rubber domed membrane switches. 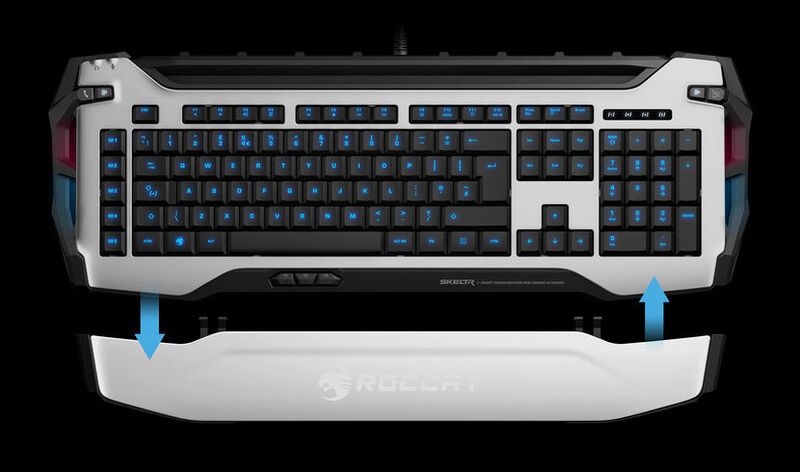 No official information has been provided for pricing, but the Roccat store has the keyboard listed at 179,99 €. Skeltr has been slated for release on September 1.